Ray Sclafani is founder and CEO of ClientWise, the premier coaching and training company serving the financial services industry. Through ClientWise, Ray has provided coaching or created and presented workshops for, among others, Merrill Lynch, Morgan Stanley Wealth Management, UBS, LPL, Ameriprise Financial, Raymond James, MetLife, and Northwestern Mutual. In addition, he has spoken on request to major industry conferences and company events for firms such as Raymond James ad FSC Securities, as well, as the FPA National Conference, the John Hancock Funds Wholesaler Conference, the Nationwide Financial Summit Sales Conference, the MetLife Presidents’ Conference, the Northwestern Mutual Forum, Northwestern Mutual’s annual meeting, Barron’s Winner’s Circle Summit, and Barron’s Top Advisory Teams Summit. 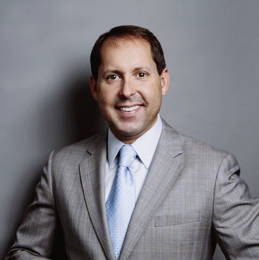 Prior to his leadership role at ClientWise, Ray served in the financial industry, where he worked at Alliance Bernstein for 20 years in several key roles, including founder and managing director of the Advisor Institute at Alliance Bernstein, where he developed and directed an extensive series of programs directed at creating sustainable motivation, increased sales, deepened client relationships. Through significant coaching education and practice, Ray earned the Professional Certified Coach (PCC) designation from the International Coach Federation, the leading independent professional association for coaches. He also holds a Master’s Certification in Neuro-Linguistics from the International Association for Neuro-Linguistic Programming and has participated in The Strategic ® Coach Program for 17 years. Ray holds a BA from Baylor University and lives in Bedford, New York, with his wife and true life partner, Beth, and their two sons, who continually inspire his work and his passion for excellence. Are you looking for a coach who can take your performance to the next level?